Many technical resources require that your computer or device be on the campus network in order to use them (i.e. Banner). There are a number of ways you can do this. The simplest example, of course, is a desktop computer that is plugged into a network jack on the wall in a campus building. Here are some tips for mobile devices. 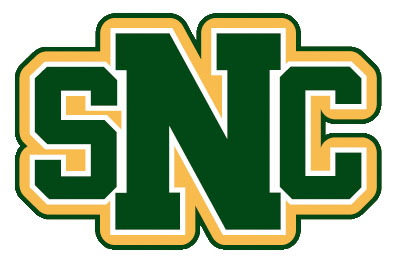 The simplest way to connect your laptop to the campus network is to connect to the "snc" wifi network. If you're not on campus, you can install FortiClient and connect using any wifi network. When you run FortiClient, your computer will appear to the resource as if it's on the network. "Your device is on the campus network." "Your device is not on the campus network." Here's an example of how to test your connection if you're at home or in a coffee shop. Start up your laptop and visit the above web page, it will tell you that your device is not on the campus network. If you then run FortiClient, then visit the page again, it will say that your device is on the campus network. And of course if you visit this page while connected to the "snc" wifi, it will tell you that it's on the campus network. If you'll be using a laptop off campus and you'd like some assistance, we strongly recommend that you bring it to the Service Desk so that we can help you set it up (before you need it off campus). We can connect it to a wifi hotspot, which uses an off-campus wifi network. This will allow you to see first hand exactly what you need to do to connect to campus resources while physically off campus.